Every summer we try to spend a week or so at my parents' home in Utah. 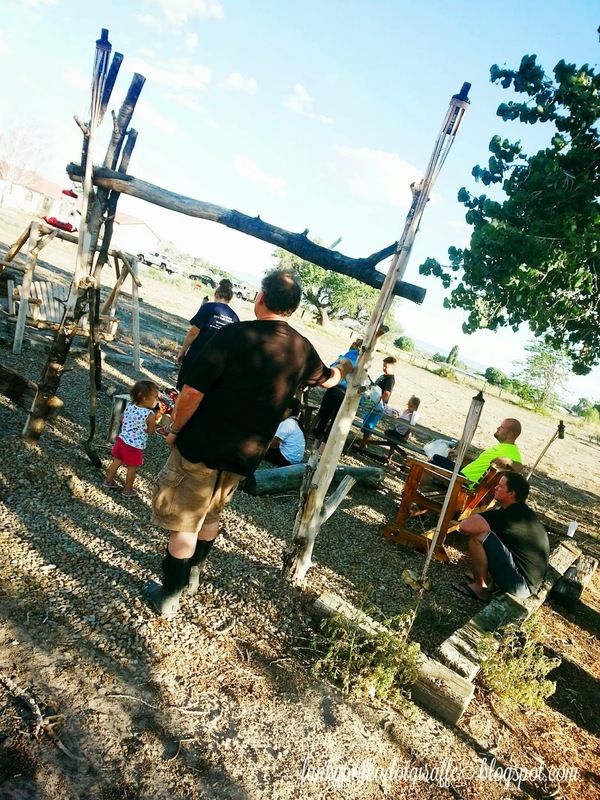 taking care of the animals, and cooking around the fire pit. fan favorite with all the grandchildren. 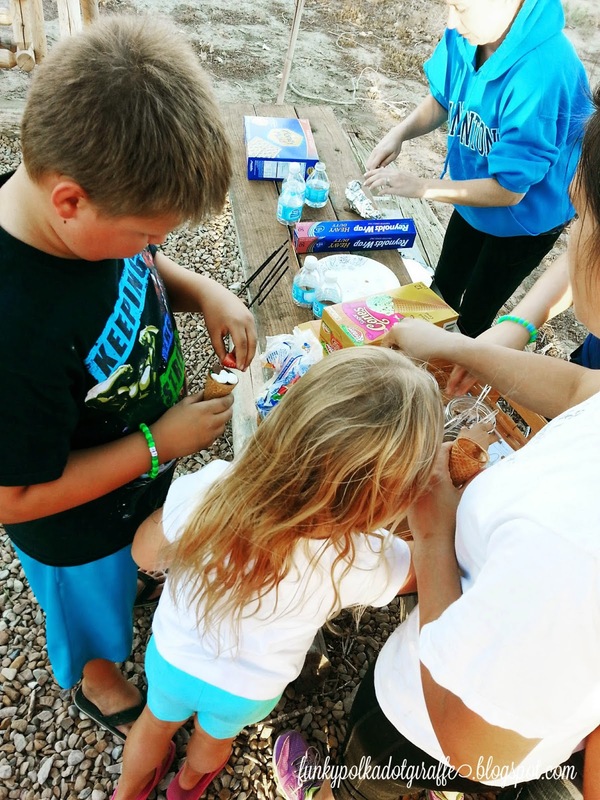 try to introduce the family to a new and fun campfire treat. 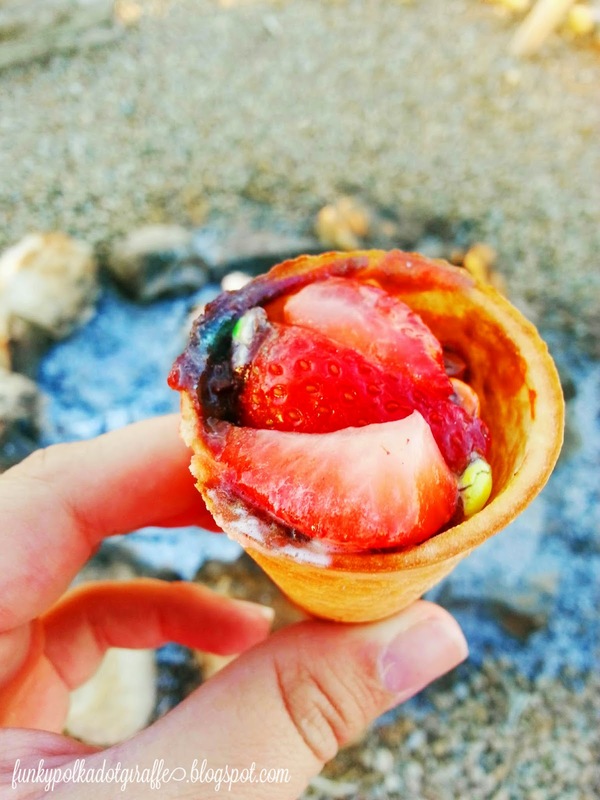 This year we tried Campfire Cones and they did not disappoint! wrap it in foil, and cook it in the campfire. and headed out to the campfire pit with the family. buffet basket down on the picnic table. It was fun to see their little personalities and preferences expressed in their choices. 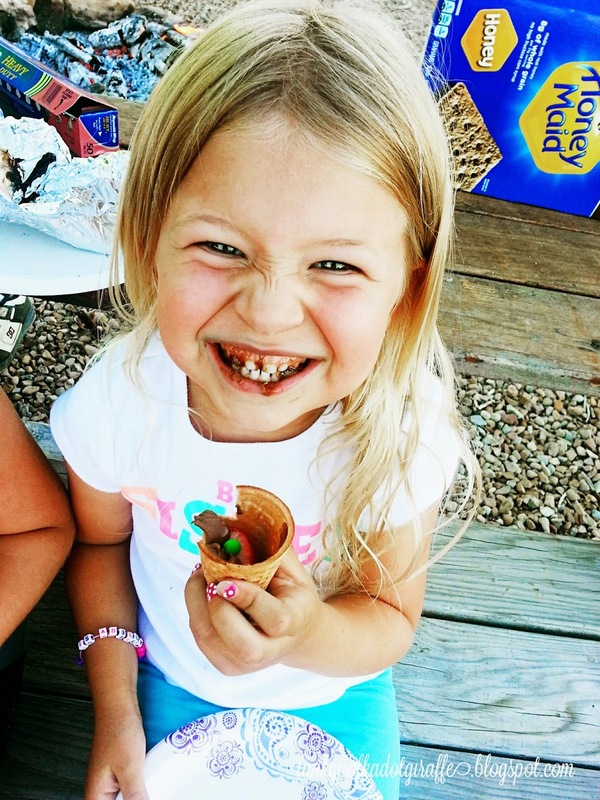 little sugar cone and Isabella was all about the CHOCOLATE! and chocolate was the most delicious concoction of them all. My mom agreed, except she asked me to hold the bananas in hers. 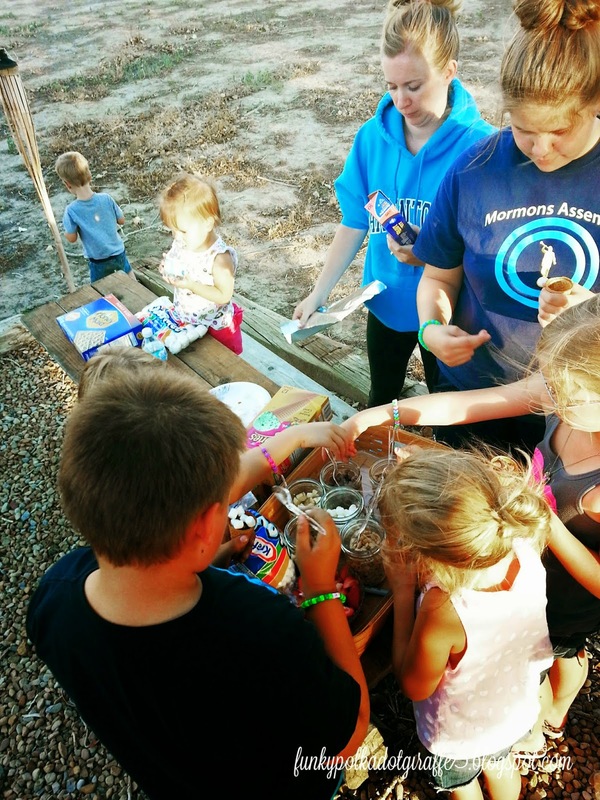 Campfire Cones were a success and have a bright future at the Terry Fire Pit. 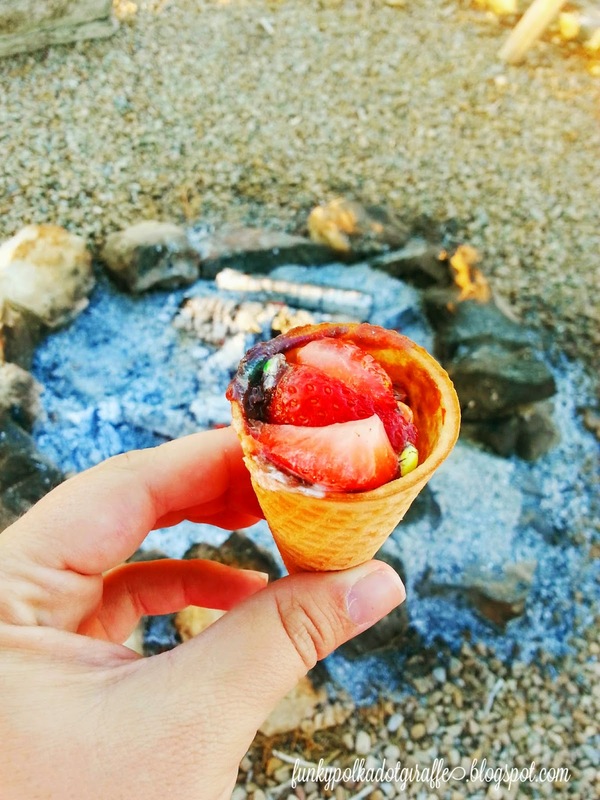 *After you load up your sugar cone, wrap it in foil, and toss it in the coals of the fire. *It will take 5-8 minutes to get all toasty and melty. having a Sharpie handy so that each person can put their name on their cone. because it can pretty HOT HOT HOT near the fire. 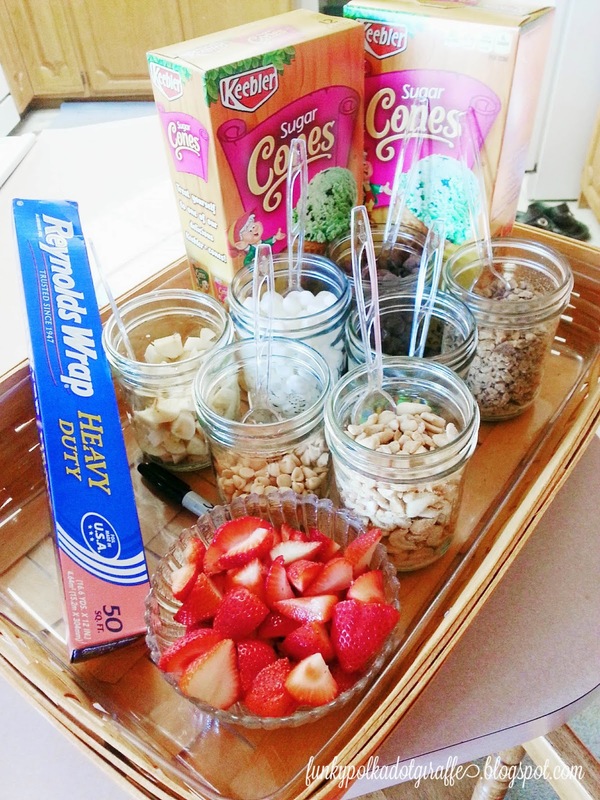 *We used sugar cones, but I'd like to experiment with waffle ones one day. *Make sure you have plenty of chocolate on hand and ENJOY!